Since the inception of HDMI®, Ethereal by Metra Home Theater Group has been leading the march for higher quality cables and problem solving solutions to continuously offer more reliable HDMI® connectivity options. Metra Home Theater Group’s investment and strong commitment to research and development of cutting-edge solutions has made Ethereal a pioneer in HDMI® cable technology. Metra’s engineers work directly with industry leaders to design affordable, high quality and reliable home theater products, trusted by AV professionals around the world. Ethereal is known for providing the longest cable lengths that support 4K / HDR technology at 18Gbps. Ethereal products are designed for custom integrators and home technology professionals. Many of the products come in simplified, resealable poly-bag packaging that allow for easy storage. Metra Home Theater Group has a long history of being first to market with HDMI® solutions that deliver higher resolutions and bandwidths at record-setting lengths. With the introduction of new Velox cables in 2016, Ethereal became the first and only company to manufacture a 22 meter (72 foot) HDMI® passive cable supporting 18 Gbps. 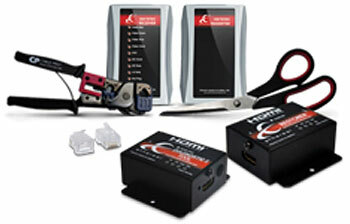 Other “Metra firsts” include introducing the world’s first working 30 meter (100 foot) HDMI® 1080p system, creating the first HDMI® cable tester, the first EDID diagnostic and repair tool, the first HDMI® surge protector and many more. 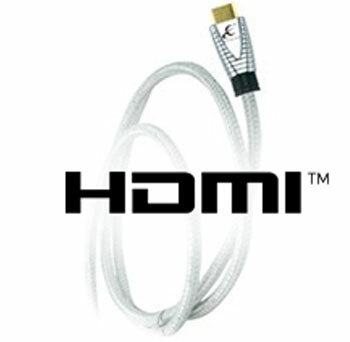 Overall, Metra Home Theater Group has a long history of providing first-to-market solutions for HDMI® cables and electronics, and has won several awards throughout the past two decades. Ethereal is considered by many AV professionals to be the top-of-the-line manufacturer for reliable, superior quality long-run HDMI® cables. Ethereal’s HDMI® cables and electronics are certified by DPL Labs and come with a lifetime warranty from Metra Home Theater Group. All of the 4K Ethereal HDMI® cables from Metra Home Theater Group have been approved by DPL’s New Expanded 4K Product Certification Program. Customers can rest assured that these cables will deliver the best, true 4K / HDR performance, and have been torture tested by an independent testing facility to ensure that specifications are met. All cables come with a lifetime warranty. Metra Home Theater Group has received numerous awards for product innovation, customer service and their educational programs. Product awards include the CE Pro BEST Awards at CEDIA, Top New Technology Awards at ISE, Tech Home Mark of Excellence Awards, TWICE and Residential Systems Best of Show, Technology Integrator Impact Awards and many more. More and more consumer electronics products continue to emerge into the full HDMI™ digital environment. With these new HDMI™ products usability and reliability will be a challenge. The popular belief that “digital is simply 1’s and 0’s and HDMI™ does not care about cable quality” is just not true! The HDMI™ cable is the most sophisticated audio/video interface in the history of home electronics. 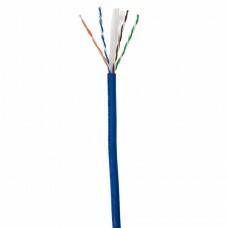 And while some believe there to be litte need for higher quality cabling, testing has shown that quality counts. The internal geometry of an HDMI™ cable will determine how well and consistent the data between devices will travel. 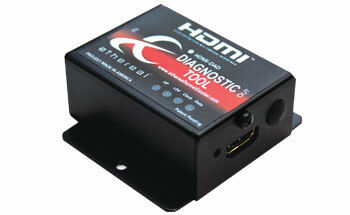 Proper two-­‐way communication is critical between HDMI™ sources and without it, problems can occur. Since the inception of HDMI™, Ethereal has been leading the march for higher quality cables and problem solving solutions to help ensure more reliable connectivity via the HDMI™ platform. Here at Ethereal we don’t “stretch the truth” or make claims that just aren’t true. Ethereal works directly with industry leaders and designers to design affordable, high quality and reliable home theater products. So when you need real answers to real problems look to Ethereal HDMI™ solutions to help get your picture back on the screen. The HDM-­DAD (Digital Analysis Device) solves Low Speed Data issues by stripping capacitive loading from the Low Speed Data and correcting corrupted EDID and HDCP (aka “Hand-­‐Shake”) data. No matter the age or resolution of your HDMI™ hardware, the HDM-DAD will automatically clean up the data, remove the choke hold, and provide the manufacturer’s intended dynamic range, supporting up to 1080p 3D. Using red, green, yellow, and blue LED indicators for diagnostic purposes, the HDM-­DAD offers some of the most advanced HDMI™ technology available on the market today. 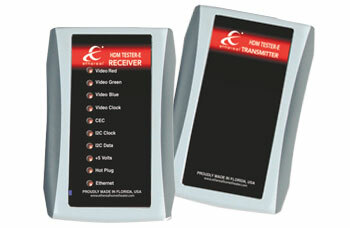 The HDMI™ cable tester verifies each circuit including the new Ethernet connectivity within the HDMI™ Cable, verifying continuity instantly by way of 10 LEDs. Operating on two AA batteries, the cable tester allows you to check and troubleshoot every pin on your HDMI™ cables before you install them, eliminating the need to switch out cables and hardware when troubleshooting. 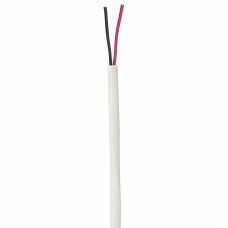 WARNING: The HDM-TESTER-E is for cable testing only! Do not connect directly to electronics, as damage will occur. All the tools in the HDM-SOLKIT are all you need to be the professional you are.